When it comes to neighborhood expertise, one real estate agent is pretty much like any other — right? Not so fast! Depending on where you live or where you’re moving, a neighborhood specialist could be heads and shoulders above the competition, and for that reason it doesn’t always make sense to list with your cousin’s best friend or old college roommate, even if you already have a personal relationship with that person. Think about it: Every neighborhood is a little bit different, and agents who try to sell anything to anybody anywhere might know a lot about real estate in general … but not very much about your particular situation or need to move into a specific area, not to mention the anomalies and idiosyncrasies of homes in different parts of a single market. Before you find a real estate agent to help you buy or sell a home, think about these reasons to consider a neighborhood specialist, then decide whether someone who knows your area intimately might be a better fit for you. You might think that an agent can discover everything they need to know about a neighborhood or market by simply looking up statistics online — and it’s true that neighborhood, market, and home data is more readily available online than it ever has been in the past. But statistics never tell the whole story; for that, you need someone who’s well-versed in what those statistics mean and which ones matter more than others. Here’s an obvious example: Let’s say you were considering moving to Houston in the early fall of 2017 and you were puzzled by the number of homes with a longer-than-average days on market number. If all these properties are lingering on the market for so long, that must mean that the Houston area experienced some softening and there were great deals to be found for buyers! Well, not necessarily; a little weather event known as Hurricane Harvey delayed a lot of closings for both buyers and sellers, which extended the days on market for the homes listed at that point in time. Of course, the hurricane was national news, so it’d be hard to miss something so clear-cut, but the point remains — you can’t always tell what’s happening with a home, a neighborhood, or a market by looking at the numbers. You’ll frequently need local context and information to help you understand exactly what those numbers mean. Some ratings systems include other variables, like parent feedback and college preparation, and some ratings systems “grade on a curve,” so to speak — there will only be so many “excellents” to go around, so a school that’s almost identical to its neighbor could be ranked in a completely different category because it scored slightly lower in one area. And some schools might excel in some areas but not in others, with amazing sports facilities or a highly competitive STEM program … but not both. Ratings can be a good jumping-off point for parents and homebuyers to consider, but they rarely provide a full picture of just how “good” the school really is. For that, you need to ask a local experts. Just like school ratings, crime ratings often aren’t the best way to determine how safe a neighborhood truly is. Crime ratings are typically based on reported crimes and compiled on a county-wide basis, which means that one part of the county is always going to be “high crime” while another part is “low crime,” even if there is very little difference in the number of reported crimes between the two of them. This can be pronounced in urban, rural, and suburban counties, where perhaps there isn’t a lot of crime — either violent crime or property-based crime — but small differences in reporting between one area and another can make one area appear to be much safer than another. Consider a relatively rural county with maybe one or two town centers as an example. It might alarm you to see those town centers classified as “high crime,” but when you realize that the concentration of people is much greater than the surrounding areas — which may not have very many residents or homes at all, or could include national or state parks — then it makes sense that the town centers will have relatively higher rates of reported crime. Or think about an urban neighborhood where two major highways intersect; you might see higher reported crime in that part of the county because there tend to be more robberies along big thoroughfares, but is it really any less safe than neighborhoods in the same county that contain only one major highway? It’s hard to tell on a heat map, and this is another area where a neighborhood expert can shed some light on just how safe an area is. 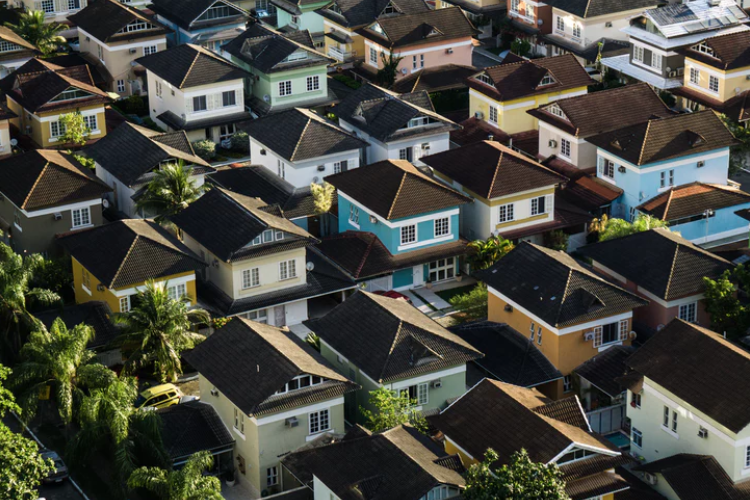 Everything from the soil to the weather can influence wear and tear on a house, and those variables aren’t always standard even within a neighborhood, let alone from one neighborhood to another. This can be another area where statistics or even government data can be at least slightly misleading. There are properties built on riverbanks all over the country that aren’t technically considered part of a FEMA (Federal Emergency Management Agency) floodplain, so as a homeowner you aren’t required to purchase flood insurance for your home … but should you anyway? A neighborhood specialist can tell you whether flooding has ever been an issue in the area and what you need to know about insurance, for example — and there are plenty of other cases where you might not be required to secure insurance on a home for earthquakes, but someone who knows the neighborhood well can help you understand what happened to similar homes of the same age the last time there was an earthquake and what that means for your own decision-making process. If you travel to and from work or drop your kids off at school — or shuttle them around to activities — then knowing when the roads are busiest and why is going to have a big impact on whether you want to put an offer on a house or not. Maybe you’ll have the smoothest commute slightly outside of peak hours, at 7 a.m. or 10 a.m. in the morning; a neighborhood specialist can help you figure out whether the commute situation aligns with your job’s flexibility. And commute times can also shift with the seasons; if you live near a sports facility that’s packed during baseball season, or a popular concert venue, then you’ll want to know what to expect in terms of getting in and out of your neighborhood when the time comes. Or if your neighborhood goes all out for Halloween or Christmas and you should anticipate visitors driving by to drink in the sights, you should get that information before it becomes an annoyance or a serious disadvantage, depending on your situation. Depending on what you do for a living, there might already be plenty of job opportunities available in your market — but do you happen to know if there are any closer, more convenient opportunities to the neighborhood you’re considering? A local specialist will be able to help you with that information, including new branches or developments that you didn’t even know were planned, and they can also give you the rundown on freelance or side gigs in the area: How many Uber or Lyft drivers tend to be active in the area, whether there’s already a wedding photographer or five who are killing it (and the market opportunity for more), and so on. If it’s important to you to live in an area where a high proportion of the residents have college degrees or post-graduate education, then a local expert can help you understand what the averages are in the neighborhood you’re considering — and can sometimes also give you information on other details, like the median salary for residents of the neighborhood. Some data on residents is protected by law (race, for example), but if you want to learn more about the makeup of businesses and residents before you move into a new neighborhood, then you’ll need to talk to a neighborhood specialist; data you can find online isn’t always up to date or reliable, and you don’t want to discover just how wrong your generic all-purpose agent was when he or she tried to find answers for you by Googling it. Most people understand that the price of different utilities can fluctuate depending on exactly where you live and the local climate — gas, electricity, water, and so on. But do you know how much property taxes will cost for your vehicles, or how much it will cost to fill up your car on that commute to and from work on a regular basis? You can try to ballpark these expenses yourself to get a true picture of what your monthly expenditures might look like and ensure you’re not breaking the bank by moving into the neighborhood, but someone who’s intimately familiar with the area can provide you deeper details that will truly help you manage and plan your budget instead of winging it. Will you need a permit to fish in the local pond, or is it included in your homeowners association fees? Are you about to move into a dry county where you can’t buy alcohol at all, or only on certain days of the week — or, in this day and age, are you moving into a municipality that’s put a moratorium on the cannabis legalization law that just passed in your state? Someone who isn’t all that familiar with the place you want to live will probably just look up what they can find on the internet and present it as the final word, but they probably aren’t attending the city council meetings or reading the latest notes from the board of commissioners, so they might not know if some regulations are about to be put in place or lifted. A neighborhood specialist is keeping tabs on everything you’d want or need to know as a resident, and they can give you the details or tell you which mailing lists or Facebook groups tend to have the best information for the people who live in the area. Whether it’s a date night, you want to go camping, or you’re curious about any adult sports leagues where you can play kickball to your heart’s content, you’ll get the very best information about what’s hot (and what’s not) in your neighborhood from someone who’s spent a lot of time learning about it and studying the trends. Maybe there’s a big microbrew scene down the road where you can find food trucks and live music on the weekends; maybe the local festival takes over the big lake in the park with dragon boats or paddleboards. “What do people like me do around here for fun?” is a great question to ask your neighborhood specialist, who’ll be able to tell you whether the library book club is a hoot or a snooze, if the poetry night at the coffeeshop is worth checking out, or whether the trails are jam-packed with runners and dogs every Sunday afternoon. If you feel like you need to be close to a swimming pool in order to live your best life, or you can’t survive without decent Thai cuisine or pho somewhere within a decent driving distance, then your neighborhood expert will have your back. Perhaps it’s a sports bar that shows games from all over the country — or opens up at the crack of dawn when the World Cup is happening so that you can sit down and enjoy the spectacle. Or maybe there’s an avid group of cyclists that meets up on afternoons and weekends to ride for miles. Whatever your special fixation is, if you know you can’t live without it, then you can check in with your local guru to see whether it already exists … or what the possibilities might be in creating your own little slice of heaven if other local residents might be interested. That’s not something you can discover on Google, but a neighborhood advocate will definitely be able to gauge the interest level in your working mom’s group or amateur improv night. Ideally, you’ll want to get your gutters cleaned out before the winter weather arrives in full — and how will you know when it’s safe to buy some annual flowers for your porch? A neighborhood specialist can also advise you about when it’s time to get your heating and air conditioning systems serviced, when to blow out your sprinklers for the season, and any number of other seasonal tasks that might otherwise baffle you, especially if you’re brand-new to the area. But even if you’ve lived nearby for several years, you might be surprised how prevalent micro-climates are and how they might affect your own new home, so it never hurts to check with the expert and get their advice about when to do what. It’s always fun to learn about the history of your new neighborhood, and depending on how specific you want to get, that’s not always something you can learn from someone who’s moonlighting in the area. There’s almost always an interesting story behind public spaces like parks, and there might even be some museums or historical societies documenting the past and hosting meals or events where you can tour and learn more about what happened in your area before you got there. When you’re hoping to get the scoop on the history behind your neighborhood, the best resource you can find is your neighborhood specialist — even if they can’t answer your questions, they almost always know a librarian or history buff who’d be happy to talk your ear off about the places that pique your curiosity. How much is the land beneath the home worth, just by itself? This might become a pertinent question if you ever decide to do some serious remodeling (like tearing down and reconstructing) a home, or if you’re just curious about how your home price appreciation ties into the location and space around it. And it can be a difficult calculation for an agent who doesn’t know the area very well to make, but a local specialist has an intimate understanding of what makes land valuable in the area, from the view to the soil type to the slope and beyond. No matter why you want to know, your neighborhood expert should be able to give you the rundown on what the land is worth. Someone who spends a lot of time in a neighborhood is usually the first to know about what’s coming down the pipeline in terms of new businesses and developments. They can tell you what the history is with that empty lot or sad strip mall on the edge of town — and whether there are any plans for it — or fill you in on the news that the local recreation center is going to be remodeled or replaced in 2020. When it comes to buying a home — one of the biggest investments you’ll ever make — you don’t want to go with the one-size-fits-all option. Choose a trusted advisor who can answer all your questions and who knows the neighborhood where you’re moving inside and out so you get the best information (and the best deal) possible.